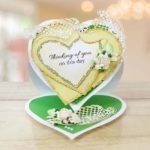 The Tattered Lace Ornamental Torn Edge Heart die gives a lovely vintage torn edge heart design IT includes 5 nested dies which are perfect for creating any vintage style cards, wedding cards or invitations. The hearts can be layered from large to small and can have other heart dies or cherub’s tucked in to them for a perfect Valentine’s Day card. 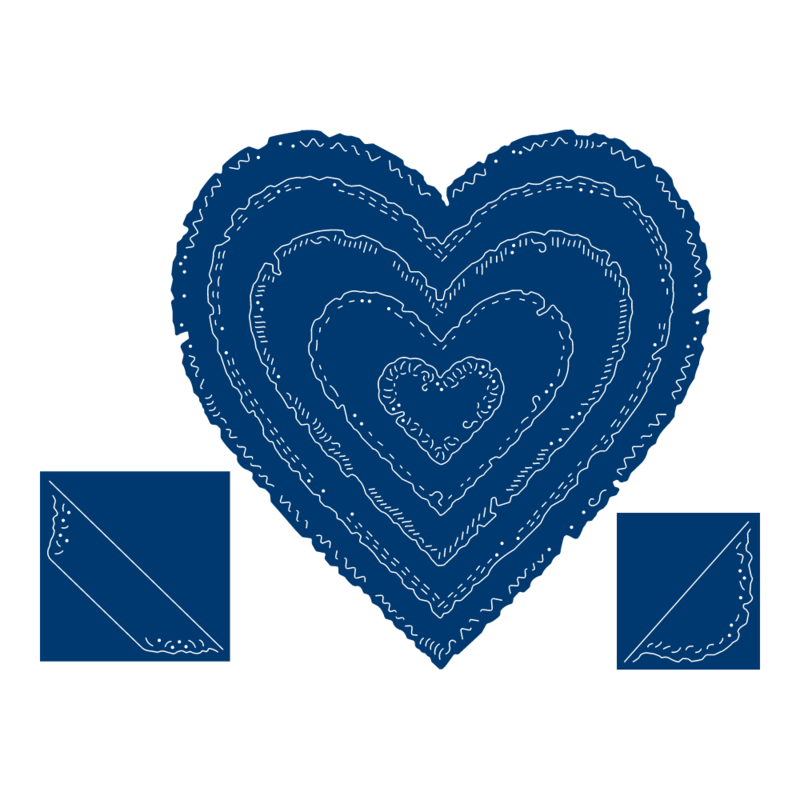 The heart can also have the corner die cut off and tucked into a frame to create an alternative style. This product is part of the Ornamental Vintage Lace Collection.